Philippe Starck designed this futuristic kiosk to print your photos instantly. The backlit kiosk represents a flower and a beating heart symbolising the energy and the life. Compact and interactive with a height of only 1.42m it can be installed in every corner. 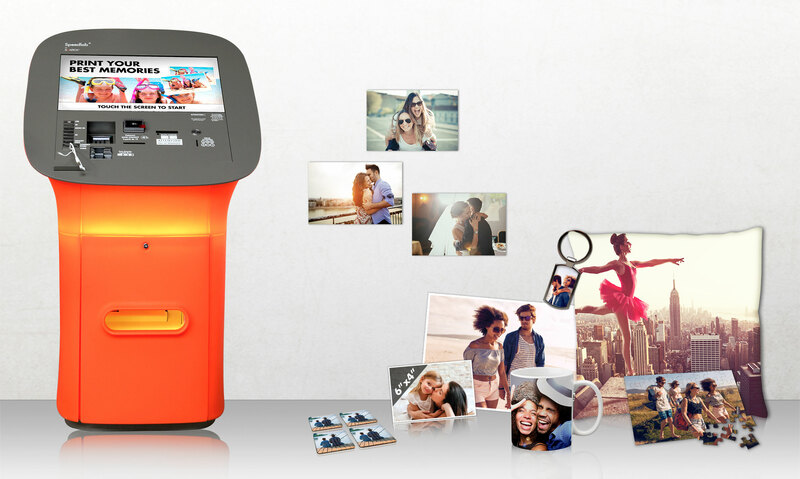 Thanks to the Speedlab bio® by Starck your customers will be able to print instantly their photos and to order personalised gifts. Payment using card, contact less and notes.